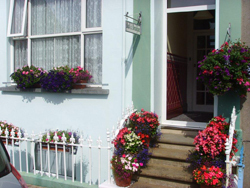 Southside in beautiful Tenby is situated in a quiet street just a 2 minutes stroll to the town centre and only 3 minutes from the fabulous golden sands of South Beach, one of our four award winning beautiful beaches in Tenby. 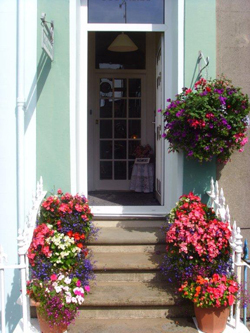 Explore the old town of Tenby with its cobbled streets and lanes leading to the many cafes, restaurants and shops, the picturesque Harbour with its multi coloured Victorian and Georgian buildings, beautiful St Marys Church the largest parish church in Wales and The Tudor Merchants House. 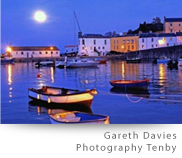 An ideal location to explore all of Pembrokeshire. Visit the many attractions that Pembrokeshire has to offer, the magical Monastic island of Caldey is a must, just a short boat trip away or a step back in time at the local Welsh Castles of Pembroke, Manorbier and Carew. The Pembrokeshire Coastal Path, St Davids with its beautiful Cathedral, Stackpool Estate, Bosherston Lily Pools, Manorbier and Saundersfoot all just a short drive away.